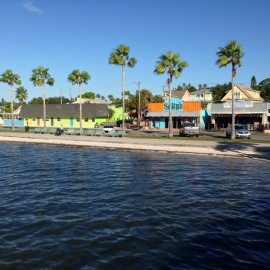 Bordering St. Pete and Boca Ciega Bay, with views of Tierra Verde from across the bay, Gulfport is known for its array of activities geared towards outdoors, such as Gulfport Waterfront District, Williams' Pier and Clam Bayou Nature Preserve. Gulfport is known for its annual Summer bash, Geckofest. Gulfport also offers a Fresh Market every Tuesday and Art Walks on the first Friday and third Saturday of each month.